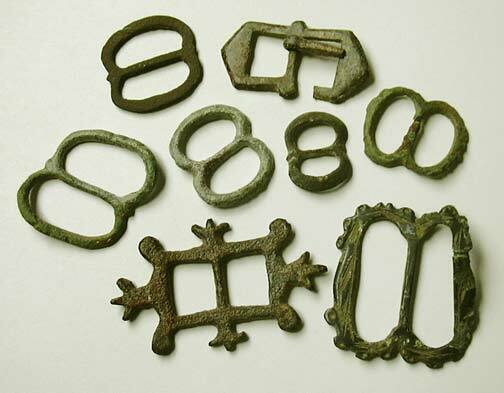 Buckles have been around for a very long time indeed, and the oldest examples in my collection date from the early 1200s. As fashion accessories, their design has changed with the times. They are thus comparatively easy to date. 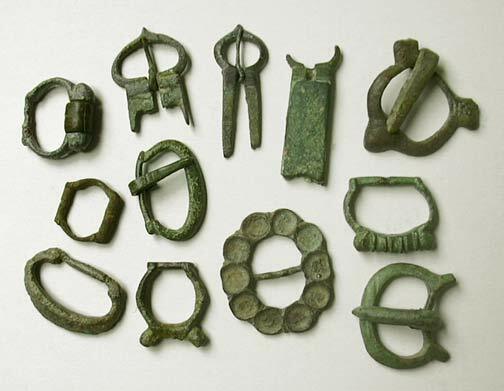 Buckles are comparatively common, but are nevertheless very interesting finds. Those shown in the top pic date from between 1200 to 1450. 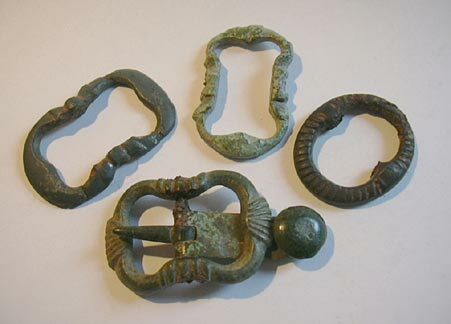 The 'disk' buckle, just right of centre at the bottom, still has traces of blue and red enamel in the circular hollows. 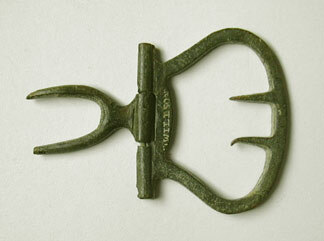 Easily distinguished by their 'spectacle' shape, these date from the early-1500s to the early 1600s. 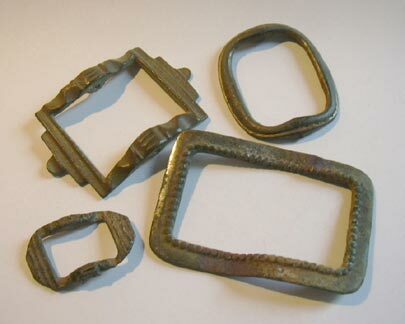 These are buckles from the Stuart and Georgian periods, and date from between 1650 and 1750. These date from around 1750 - 1830. 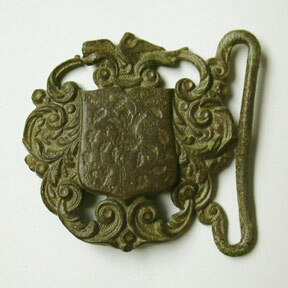 A very ornate buckle, stamped from sheet metal, and probably Victorian.